Online meetings are like cars – they are everywhere nowadays, but not everyone knows how to drive them effectively. The best way to get better at online meetings is to participate in more of them. 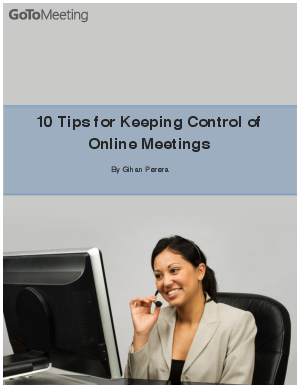 This brief by Gihan Perera, founder of First Step Communications, provides 10 practical tips for keeping control of your online meetings.